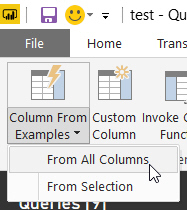 In Query Editor, you can click on this tool to create a new column by example (Excel has had a similar feature for a while). You can combine different expressions to build up a new column. 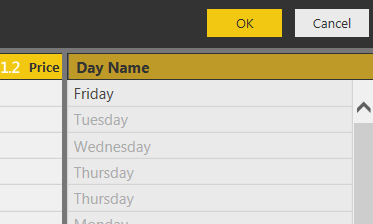 A potential new column to show the day of any purchase. 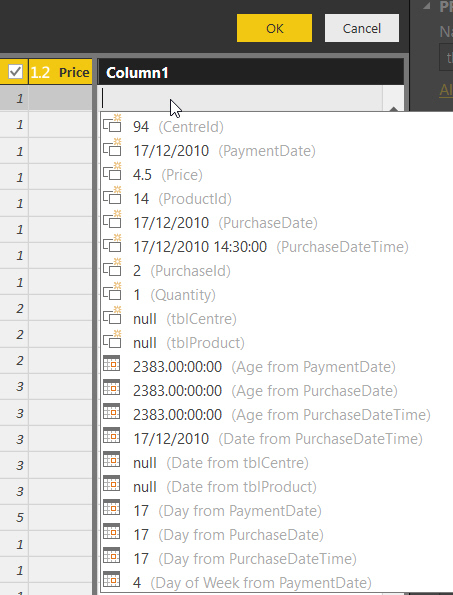 What this example also shows is that Microsoft have extended the range of transformations possible for this feature, particularly with regard to dates.